A quiet revolution is rumbling through New York's municipal offices as they retool to support the creation of worker cooperatives as a way to fight poverty. Spurred by the powerful example of immigrant-owned cleaning cooperatives and the longstanding example of Cooperative Home Care Associates in the Bronx - the largest worker cooperative in the country - progressive city council members are allying with a new network of worker cooperatives, community based organizations that incubated immigrant-owned co-ops and the influential Federation of Protestant Welfare Agencies to figure out how the city can encourage this still-tiny economic sector. Once fully in place, New York City will be a national leader in providing municipal support for these democratic enterprises. The pace of change is dizzying. In January, the federation released a short report arguing that worker co-ops help improve traditionally low-wage jobs by channeling the enterprises' profits directly to their worker members, improving their lives in tangible ways. Then in February, Councilwoman Maria del Carmen Arroyo, chairwoman of the Committee on Community Development, held a hearing which put staff from the city's Small Business Services and Economic Development Agency in the hot seat about how they were promoting worker cooperatives. In their final budget agreement on June 19th, the mayor agreed to the City Council's request for $1.2 million for training programs with the aim of incubating a minimum of 234 new jobs, 28 new worker co-ops and help another 20 existing worker cooperatives to grow. "We got it. the whole thing, we are so excited and thankful to the City Council, the mayor, the public advocate and borough president for their support for workplace democracy" said Chris Michael, director of the NYC Netwrork of Worker Cooperatives. In making the budget appeal, the City Council wrote, "Often times minimum- and low-wage jobs do not provide enough of an economic boost to provide upward mobility for many New Yorkers. Worker Cooperatives are designed to help build assets and wealth among low-income individuals and communities, and create entrepreneurs and community leaders." It continued, "This initiative will target the long-term unemployed and the growing number of under- employed and discouraged workers in high-needs neighborhoods." Worker co-ops are businesses that distribute more of the profits to employees because the worker-owners control the operation on the basis of one member, one vote. More than a third in the United States are in the service sector and are relatively small. They may operate with a staff hierarchy but even in larger co-ops the wage scale is relatively egalitarian. The businesses’ surplus gets circulated to the member-workers, not to external shareholders, as in traditional corporations. The possibility of empowering low-wage workers inspires Rosie Mendez, a city councilwoman representing the East Village, including Colors, the restaurant coop formed by former staffers of Windows on the World in the World Trade Center. "It would go a long way to eradicating unemployment and strengthening our workforce," she said following the May 14 rally on the city hall steps. Activists flyered in front of the City Council to promote the funding, winning an offhand remark from a passing Mayor DeBlasio that he "loves worker co-ops"! At the national conference of the US Federation of Worker Cooperatives in late May, executive director Melissa Hoover acknowledged the importance of strong allies to promote the vital public policy changes needed for growth, given the small number of the democratic enterprises - there are perhaps 300 worker co-ops in the entire country. Twenty-three of them are in New York City, and with co-op incubators like the Center for Family Life in Brooklyn, they are much more likely to be immigrant-run than those in some other co-op centers, such as Minnesota, Massachusetts or Wisconsin. (The SF Bay area, with two dozen enterprises, is also home to prominent immigrant-owned co-ops and the co-op incubator WAGES.) While the Bay area, Madison and Western Massachusetts all have co-op networks, the NYC Network of Worker Cooperatives is only holding its first conference June 21. It can't carry the weight of a full lobbying effort. This makes the interest of the Federation of Protestant Welfare Agencies (FPWA) in worker co-ops particularly notable. The 92-year-old organization is a network of social service agencies and churches led by Jennifer Jones Austin, a well-connected New Yorker who co-chaired Mayor DeBlasio's transition team and who once served in the Bloomberg administration. She had been executive director of FPWA just over a year when it released its report on worker coops. 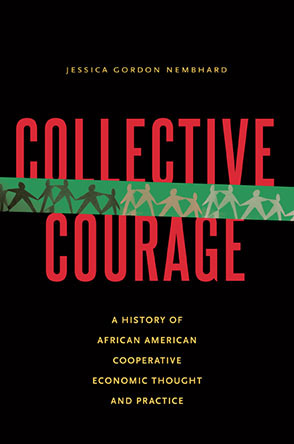 Its author, research director Noah Franklin, made the connection between worker coops and fighting poverty at the January conference marking its release. "Why are we advocating for worker cooperatives now?" he asked. "More than 20 percent of New Yorkers are living in poverty." He added, "Business hiring trends have only added to the ranks of low-wage workers" - despite the usual city giveaways to big companies in the name of job creation. Here is a "policy misalignment." But as democratic enterprises, coops are more than one piece of an economic development model. They give workers more control over their work environment, and their capacity for democratic participation in the wider world is enriched. Workers in low-wage jobs can increase their income as members of co-ops, from receiving more and steadier hours of work and higher hourly wages, according to a recent report by Hilary Abell, the former director of WAGES. "Many members have health insurance and paid time off for the first time in their lives." Elisa Perez, a founding member of Si Se Puede, the large cleaning co-op launched by Center for Family Life in Brooklyn, put it simply. "As a member, it has allowed me to have dignifying job." For some in her co-op, it meant tripling their former income to $25 an hour. Of course, worker ownership does not necessarily mean higher wages or better hours - they are subject to market forces and even the self-exploitation found in many small businesses. 'We only recently got wages above $10 an hour," said Michael Elsas, president of Cooperative Home Care Associates. The federation's structure representing social service agencies makes it no surprise that its strategy heavily supports the "service agencies" in the co-op sector. These are co-op incubators like the Center for Family Life, which is a large social service organization in Sunset Park that since 2006 has launched, or is launching, eight immigrant-run co-ops. Councilwoman Arroyo, who led the fight in the City Council, represents the South Bronx, a borough that is rich with cooperative resources, including a school called Green Worker Cooperatives, which would receive funding. A co-op policy promoter in another region, reviewing the NY plan, noted that it does not set up a democratic process for co-op incubators to apply for funds: At least in the form presented to the mayor, the council plan would direct funds to particular organizations. When larger funds are in play, he advised looking to another model - the funding mechanisms set up by the US Department of Agriculture, arguably the largest co-op promoter in the country, all in rural areas. Low-income co-ops also involve a lot of "workforce development" and training of the worker-owners and so need support from incubators for as long as five years; this makes multiyear funding commitments ideal. While researchers try to connect the dots about the power of worker co-ops as poverty fighters, they are faced with relatively thin data because of the low numbers of the enterprises in this country. Advocates look to Quebec, the Basque region of Spain and Emilia Romagna in northern Italy, regions that are relatively dense with worker cooperatives, in part because of the support of government policy, strong mechanisms for funding and rich networks with other democratic enterprises including banks and sometimes unions. Other cities are also inspired by these models - the mayor of Richmond, Calif., visited the Mondragon co-ops in the Basque region, and the mayor of Madison, Wisc., hosted a conference in June 2102 on cooperative businesses. Chokwe Lumumba, the radical mayor of Jackson, Miss., planned to create a co-op incubator as part of city government, but that plan tragically derailed when he died earlier this year. Local activists are pursuing the same goal through nongovernmental means. Richmond's co-op developer is no longer on staff, but an independent $50,000 revolving loan fund to support co-ops is still operating. Madison has a strong network of worker co-ops, and a co-op center based at the state university; the conference created an agenda for government action, and at this point, cooperators are reaching out to educate economic development agencies about how they can support the enterprises. There is surprising momentum in Reading, Penn., a city teetering on bankruptcy. With the support of the Steelworkers, the mayor, and Philadelphia-based experts, co-op incubation is in the works that is part of a larger economic development strategy. In Oakland, local co-ops and the Sustainable Economies Law Center are considering promoting policies that would give co-ops preference in city contracting, and reduce their permit fees, among other strategies, to foster healthy economic development. Richmond, Va.,'s mayor just created an Office of Community Wealth Building, helmed by an associate of co-op promoter Gar Alperovitz. And Cincinnati's mayor is reportedly intrigued not just by the Mondragon model, but potential alliances with Mondragon itself. NYC's "business solution centers" offer pro bono legal help and financing, not just technical assistance, so training its trainers to understand worker co-ops could be a boon to the movement. Worker co-ops are often launched by people who have a skill - like cleaning - but not the business experience needed to create a viable enterprise. Some co-ops face complex and unfamiliar challenges when they aspire to operate collectively. Cooperators have already met with the business center staff to train them in the particular challenges worker co-ops face so they can field questions. NYC also provides affordable space for incubating small businesses that is open to co-ops. These are the low-hanging fruit - merely removing discrimination against co-op business that might be in the practice of government agencies, and making their services accessible. Cooperative Home Care Associates in the Bronx and its 2,300 workers - 1,110 of them worker owners - already benefit from city workforce development funds. This is another important area for other worker co-ops to explore, and has proven to be important for some Quebec worker co-ops in low-income areas. "We think the city of New York, for the low wage sector, there's a lot of work that needs to be done on the workforce development side before you start creating small co-ops," said Elsas. "We think right now it's all about workforce development." The next phase in developing the city's policies toward worker co-ops is more challenging. Advocates and their city council allies are aware that there are daunting barriers to worker co-ops benefiting from vital loan and grant programs or city contracts because of the structure of their enterprises. SBS is charged with helping small, minority and women-owned businesses navigate the system. Even before the city hearing, co-op activists were engaging SBS about contracts. "One of the big ones is loans to expand the business, to have more funding support to invest in marketing," said Ligia Guallpa, director of Worker Justice Project, which launched the Apple Eco Cleaning Cooperative in 2010. "To get SBS grant funds, every owner has to fill out paperwork. In a co-op of 2,000 members, that's enormous," said Councilwoman Helen Rosenthal, chair of the council's powerful contracts committee. "It's something we're definitely wrestling with. This is part of taking responsibility as an owner. " Co-op advocates want the city to give preferential treatment to these enterprises in their contracts, much as it supports "minority- and women-owned businesses" with an "aspirational" goal of 20 percent of contracts. That is a tall order. In early summer, Rosenthal plans to introduce legislation that requires city agencies to report on their outreach and contracts with worker co-ops. "That way we can start to introduce the lexicon of worker co-ops into these agencies who might not know about them." "As I've learned more about worker co-ops, instinctively I support them," she said. "My mother started the first co-op nursery school where I grew up. I know it's possible. The trick is to find opportunities where worker co-ops make sense and use it for job creation and job stability, particularly among low-income workers." Another challenge: large-scale co-op development. The NYC Network of Worker Cooperatives is working with a co-op consultant to identify market niches where co-ops might grow. Impoverished parts of New York also have the potential to develop worker cooperatives servicing "anchor institutions" like universities and hospitals, as the Evergreen cooperative laundry, energy company and hydroponic farm have done in Cleveland. The MIT CoLab is proposing just such an initiative in the Bronx. In Cleveland, the city economic development agency played a key role in brokering funds for the initiative. This is not yet on the horizon in NYC. But NY development under Mayor Bloomberg and his predecessors was notorious for giveaways to big real estate interests and corporations. Even now, groups are fighting $100 million in proposed government giveaways for an online grocer, FreshDirect, to move from Queens to the Bronx waterfront. Reorienting economic development toward economic democracy may be easier when it travels the well-worn grooves supporting small businesses but not if it means shifting real resources that challenge established economic interests. Still, there is a strong argument for supporting co-ops and other forms of worker ownership at the municipal level because the usual tax abatements and other giveaways too often support extractive companies that pay as little as possible to the workers on the ground while sending surplus to stockholders or top executives. Cities are also an important arena for co-op policy since national initiatives are at a standstill. In early June, Vermont Senator Bernie Sanders again proposed legislation to fund state employee ownership centers like those in Ohio and Vermont that provide technical assistance to both worker cooperatives and employee stock ownership programs, companies that distribute wealth more equitably than most companies and are on occasion also governed democratically. His bill would also create a public bank that would provide much needed loans. Similarly, Congressman Chaka Fatta of Pennsylvania, working with the National Cooperative Business Association and Cooperation Works, devised a bill that would fund co-op development in low-income communities through a Housing and Urban Development initiative. The vision is there, but the muscle right now is in localities. Where progressive mayors and city councils are in charge, as in New York, there are opportunities that can remake economic development for a new generation. Why Are We Playing Monopoly When We Could Be Living Democracy?